With my no nonsense approach, you can be sure that my goal is to “get the job done”. I zero in on your needs and wants and make sure that the buying or selling process of you home is a stress-free, easy transaction. You should enjoy the process and be proud of the outcome. Whether you are a first-time buyer, a move-up buyer, or a seller, I will help you achieve your ultimate goal! Jane-ism – “I don’t like when other people spend my money, so I won’t spend yours." "Jane went above & beyond my expectations and was very accommodating. She definitely had my best interest in mind. As a first-time home buyer, she made finding and purchasing my house such an easy experience. She was honest, professional, and knowledgeable. Above all, she had a fabulous personality! I would not trust anyone else to help me buy or sell a home" ~ Renee S.
"Jane Gaglione is top notch. She was so attentive and found us the house of our dreams in a neighborhood we wanted to raise our family in. She is so dedicated! Her service was flawless. Everything I heard about Jane was awesome. I would definitely recommend her to family and friends." ~ Brian & Lisa M.
"Jane went above our expectations. She showed us our home 4 times before we finally bought it. It was a pleasure to have someone we felt so comfortable with. 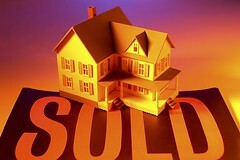 We have used Jane with the sale and purchase of our last three homes!" ~ Lisa H.
To View More Testimonials, Just click HERE!